No-slip rubber grip and brilliant chrome accents. 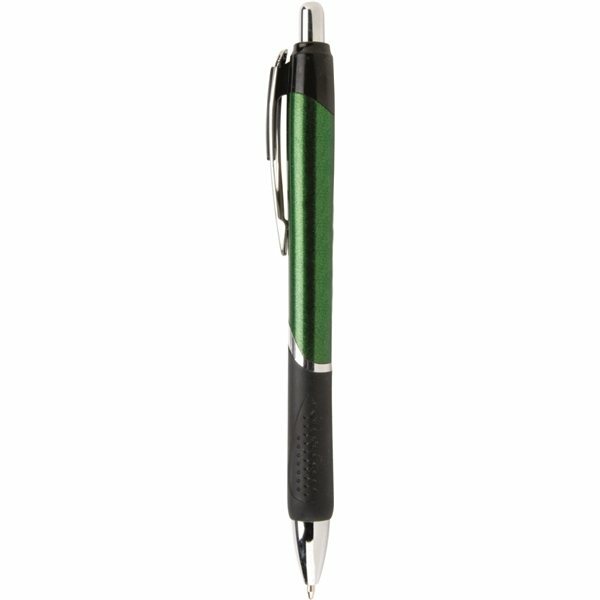 Due to pen's speckled finish we cannot imprint in silver. We recommend a White or Cool Gray #3 imprint. Affordable but, of course, at that price, not a quality pen. Best we could do. Appreciate your excellent service. We love the graphics and also the shape and size are wonderful. 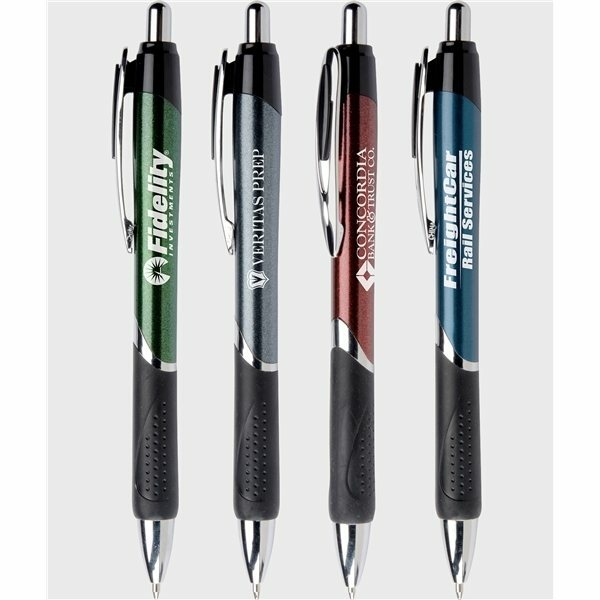 Good pen and shipped quickly. Great colors the printing really turns up in it.